Have some fun in the El Moro Beach near the Dunas de Corralejo Natural Park, on the north of Fuerteventura. 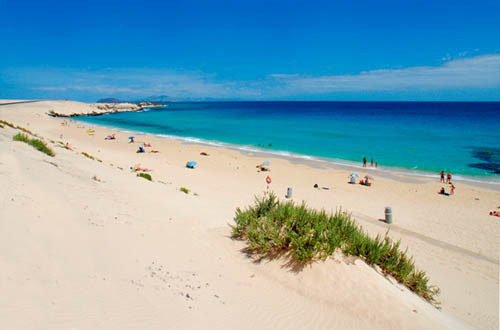 El Moro Beach is a small white sandy beach near the Dunas de Corralejo Natural Park on the north of Fuerteventura. This beach has 300 meters of fine white sand and crystal clear waters. This is a fine beach to practice surf. From here it’s very usual to see surfers.